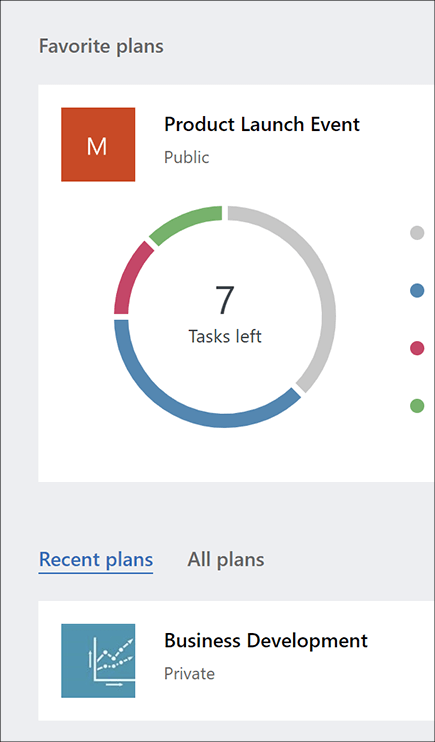 Create new plans, assign tasks, and share files with others. Organize teamwork and collaborate on projects in a simple, visual way. Chat with others to make sure you're on the same page. Select the Planner tile in the app launcher, or on the home page. Select an existing plan in the Favorite plans, Recent plans, or All plans section.